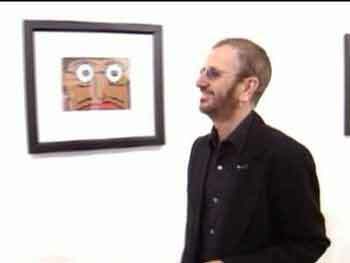 NEW YORK -- We know he's got the magical touch when it comes to music But drummer Ringo Starr is proving he's a man of many talents. 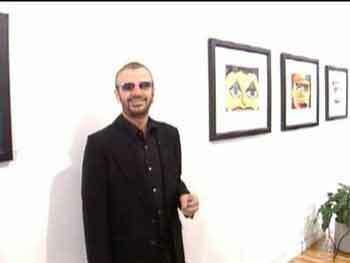 An exclusive exhibition featuring the former Beatle's "computer art" opened June 19 (and continues through July 3) at Pop International Galleries in Soho. The show features 14 different images, all signed by the drummer himself. 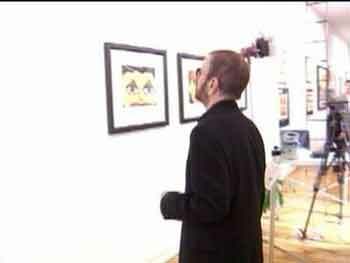 WNBC.com: Ringo, the place looks fantastic, the art is exciting. RS: Yeah thanks. Yeah, it’s really exciting to see your art on the wall, framed even! Who knew. WNBC.com: How did it come about? WNBC.com: Did somebody show you how to do this, or did you just fiddle with it on your own? RS: No, I just found out how you do it. they’re there. And that’s part of the joy really, you know, that you get stuff that…you haven’t really planned it. You know you plan most of it, but suddenly its things like that, little crazy accidents, that I quite enjoy. WNBC.com: It seems like everything has a face. Is that on purpose? RS: Well they’re all faces. How bright, looky you, yeah! [Looks at the camera] Can you bring out the ones that don’t have faces [laughs]! This is the guy who said that [pulls interviewer into camera range], you’re not going to get away with that, thank you. They’re called my people actually. They’re all heads. Whew! WNBC.com: Is this a new career? gave me a few lessons on oil. But this is just purely computer. So, this is why we’re here. This is the computer art. WNBC.com: And how are you feeling today, are you proud, are you nervous? RS: I feel great! Yeah, I know, I feel really…I felt really nervous on the way to the thing ‘cause your paintings are up now, but I just loved it when I came in ‘cause it looks great as you pan around,to see your stuff is great and its for a good cause [all of the artist's proceeds will go to benefit the Lotus US Foundation Charity] and that’s the deal. WNBC.com: And you have a new album out. WNBC.com: There’s a song on it called ‘Wrong All The Time’ on it. RS: There’s also one ‘Faded In And Faded Out,’ which you will be doing soon [laughs]. RS: ‘Wrong All The Time,’ everybody likes that ‘cause you know Barb and I were having this row, so I’d been hanging out…we have the band Ringo and the Roundheads, so we really know each other really very well and if somebody says something, we usually write a song about it. So I came into the studio and (said), ‘well, why am I wrong all the time?’ And you know we started work. And then I walked the dog because I have the studio at home. And I came back and Gary Burr said, ‘ah, I’ve got this bit of a melody for why am I wrong all the time.’ That’s how it came about. 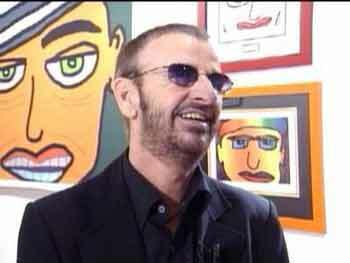 WNBC.com: What’s in your future Ringo? I know you had surgery (to repair damage to his shoulder caused by years of drumming). RS: I had surgery last year, but you know they’re both doing OK now, I can do this at least [raises his arms above his shoulders]. I was doing this before it [raises his arms below the shoulders], so they’re really well now. You know I’m doing this promotional tour with the Roundheads because I think that would be enough shoulder work and next year I’ll be completely well and we’ll do an All-Starrs, OK!